The original owner spent two years searching for the perfect location to duplicate the exact terrain, altitude and growing conditions of the most successful coffee farms of Boquete, Panama and Columbia. After walking with an altimeter in hand and talking to reclusive indigenous farmers, this region was discovered with all the perfect conditions to cultivate exceptional Arabica coffee trees. Owners house with roof terrace. This is a micro climate, blessed with abundant rainfall, in clean mountain air, bounded by a clear trout filled year around rushing river, protected from extremes of wind and large temperature fluctuations, perfect for growing coffee. 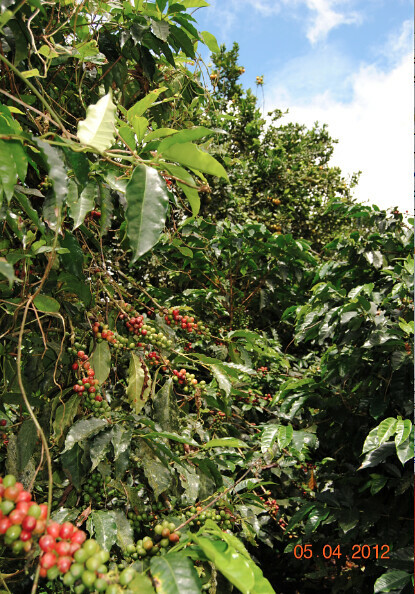 It has 11 hectares planted (manageable for a single owner), with approximately 50,000 Arabica, varietal Caturra (self pollinating) coffee trees which are perfectly distributed over a hillside interspersed with a variety of fruit trees for shade. 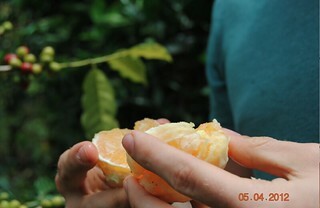 Oranges grown to protect coffee trees. No problem selling this crop for top dollar due to its proven high quality. The coffee sales last year grossed $70,000 so after $25,000 expenses, $45,000 was the net income. As well, an experimental 1 hectare of Geisha varietal. Geisha is considered to be one of the finest coffees in the world and garnered the highest auction record in coffee history, fetching $170 per pound in 2010. The first harvest of this varietal is expected in about 2 years. Coffee plants grown in greenhouse on farm. 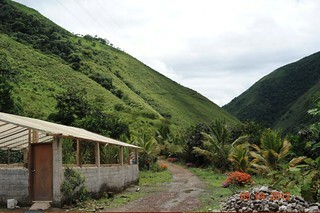 This Andean location provides an ideal environment for coffee growing without damaging the unique habitat of many species of birds. 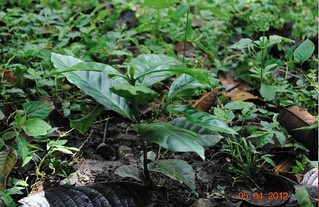 Arabica coffee trees are a major source of oxygen production. Each hectare produces 86 pounds of oxygen per day which is 50% of rain forest habitat. Ecuador is a biologically diverse country with an abundance of birds, amphibians, reptiles and butterflies. 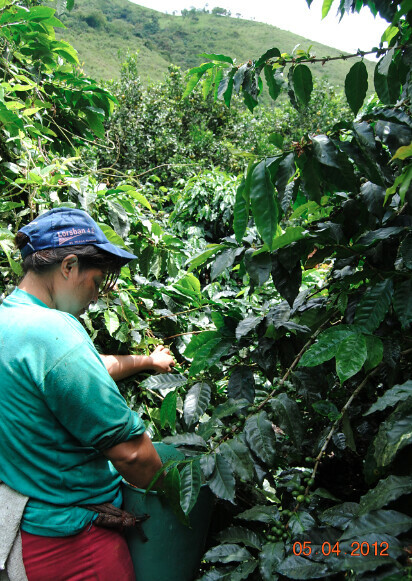 Inca Mountain Coffee Farm is ecologically in harmony with its environment. The Arabica coffee trees are 6 years old, providing remarkable yields, allowing for continuous flowering and two annual harvests (major harvest Feb-Jun and minor harvest Oct-Nov). 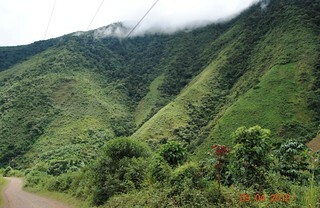 In the yearly Golden Cup competition, coffee from this farm was a finalist in 2011. This clean mountain river that runs year around with trout. 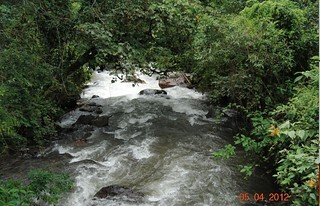 Also, access to mountain water for farm irrigation, though it is rarely needed. Farm is fenced along road. You can set the date for your own tour. 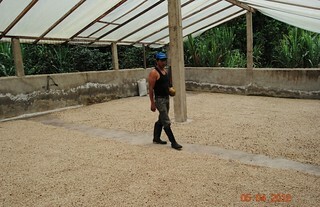 The Ecuador farm tour fee is $799 for single or $999 couple. 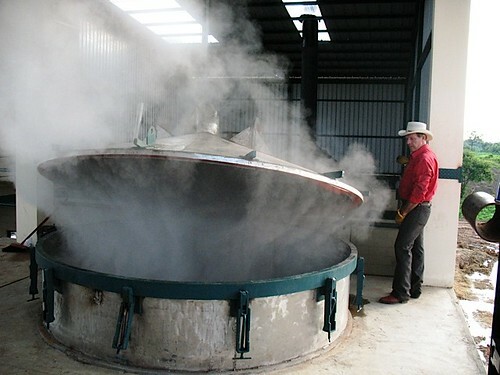 Case Study #3: This third case study shows an American who has created a large Ecuador agri operation. 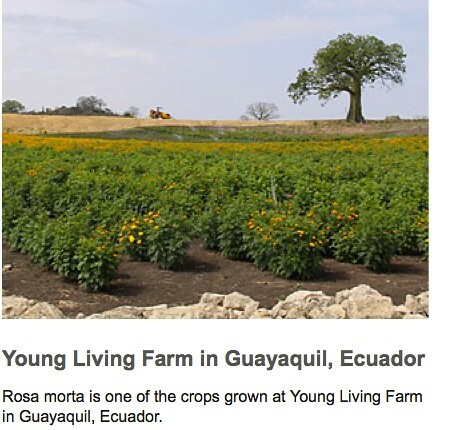 This is the farming operation set up by Young Living Essential oils. there own processing and a health spa. 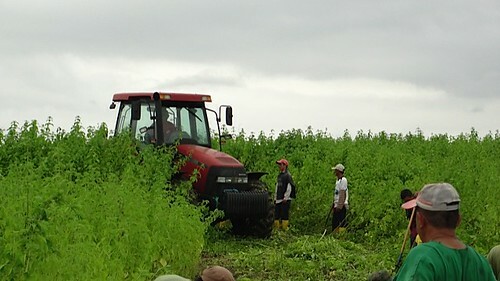 Ecuador is a perfect place for many types of agriculture… large and small. 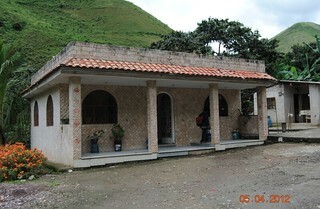 Find your farm in the safe and efficient way on an Ecuador Agricultural Tour. For efficiency and logistics this tour is strictly limited to 15 people… 4 persons per four wheel drive vehicle.